Neon Nights, a photo by Michael Mitchener on Flickr. 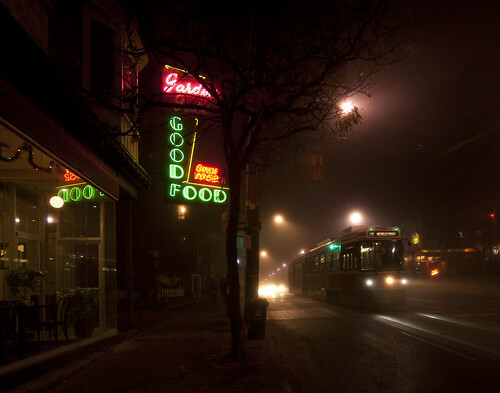 A rare intersection of fog, streetcar, neon, and Beach landmark. Taken on a rare run of foggy evenings in the Beach.